Photography With a Difference (PWD), an advocacy led and founded by prominent photographer John K. Chua, has been conducting this activity since 2011 with the objective of giving the beneficiaries and their guardians a “worry-free” day. 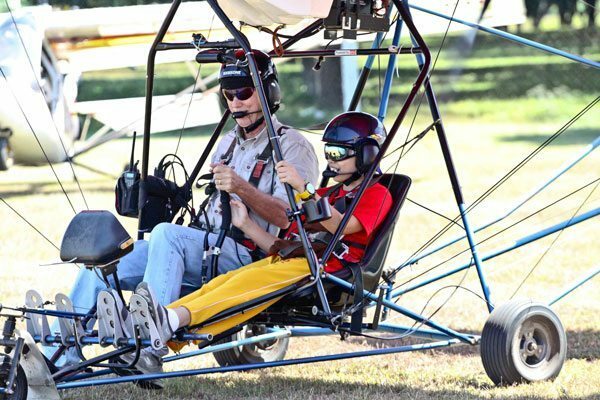 The entire group trooped to the Angeles City Flying Club Woodland Airpark in Pampanga early in the morning of February 16, 2013 where they were greeted with various colorful ultralight aircraft and plenty of fun activities dedicated entirely for that day. One of the consistent supporters is SM Supermalls’ advocacy arm, SM Cares, specifically its Program on Disability Affairs headed by Engr. Bien C. Mateo. Mateo shared that Reach for the Sky complements SM’s own mission to give its customers and partners the chance to improve their interaction and understanding of members of society who have special needs. He pointed out that this is also the reason why SM has made its malls more accessible for PWDs and their families.